¡Share a special moment everyday with your child! Escúchale hablar de su día: actividades, compañeros, gustos y disgustos, alegrías y temores. Si él no puede, ayúdale a escribirlo y, cuando pueda, él mismo irá rellenando las páginas. Aprovecha los temas presentados para conversar con él y comenzar a tener una buena comunicación desde una edad temprana. Anímale a poner en práctica su imaginación. Con dibujos, pegatinas, fotos, y demás creaciones Imagínate… que es un diario se convertirá en una “obra de arte” que quedará en la familia durante muchos años. Al final del día, dedica un tiempo siempre fijo para completar el diario con tu hijo o hija. Pon de manifiesto tu entusiasmo y haz que el niño se sienta importante. Léele las frases y rellena los espacios atendiendo fielmente a sus palabras. Cada respuesta te ofrecerá la oportunidad de explorar con él un tema y ayudarle a expresarse y comprender mejor su pequeño mundo. Procura mantener un ambiente relajado, escucha y a divertirse. Si faltáis un día o dos, no te preocupes: el diario debe ser un placer y no una obligación. Originally aimed at small children and their parents or guardians, the diary will be a record of the year narrated by the child himself and an opportunity for parents and child to share a special moment every day before bedtime. The diary has also had success among older children as a personal diary, especially in groups of friends who like to compare results. It has also proved useful for children with autism owing to its being structured yet flexible. 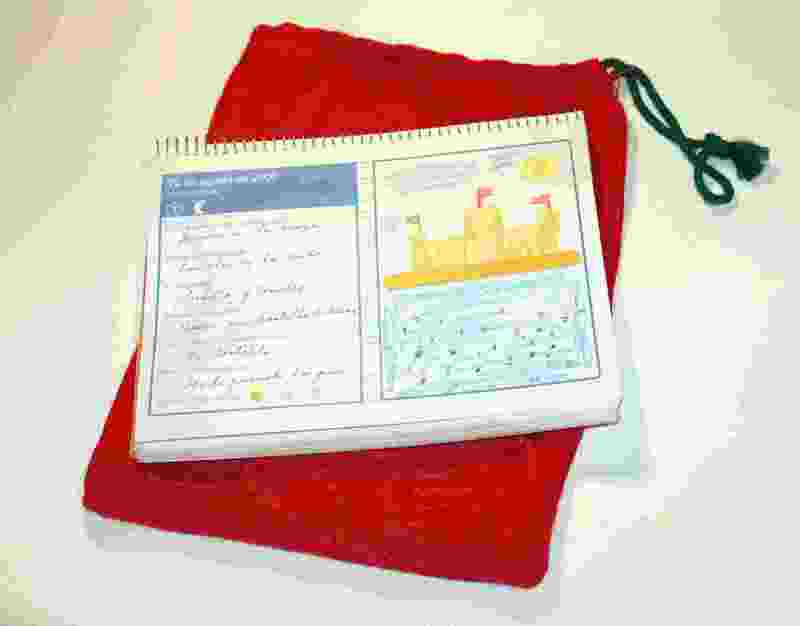 People in the early stages of Alzheimer also benefit from the exercise of completing the diary at the end of each day. Make believe … it's a diary is a daily joint-project for parents and children. What´s more interesting to a small child than his own little world, full of desires , unknowns and needs? The diary is a great opportunity for the child to tell his parents about them. And a great way for parents to spend quality time with their small children, a guide to enter into the child´s little world, know how he feels, how his day has been. Over the years, this ritual should turn into parent/child conversations that will come naturally since the child is used to communicating with his parents from a very early age. For the busy parent the diary provides the ideal script to begin communicating with this little person who is beginning his life. Los padres de hoy tienen poco tiempo para dedicar a sus hijos, especialmente entre semana. Para defenderse, se dice que “la calidad vale más que la cantidad”. Sin embargo, ¿cómo evaluar la calidad? No es fácil comunicarse con los niños pequeños en el poco tiempo disponible. Claro que los abrazos, los besos y el cuento antes de dormir son señales del cariño de los padres hacía los niños. Pero, ¿cómo llegar a su pequeño mundo y averiguar cómo se siente el niño y cómo ha sido su día? Every day of the year has a page with the exception of Saturdays and Sundays (combined into weekends). The father or mother reads the phrases of each day so that the child completes them verbally and the parent transcribes what he says. The phrases are conceived to facilitate conversation, to open the door to topics of interest to the child, and to give the parent a clearer perception of the activities the child has done during the day, what he liked or didn’t like, his joys and his fears. 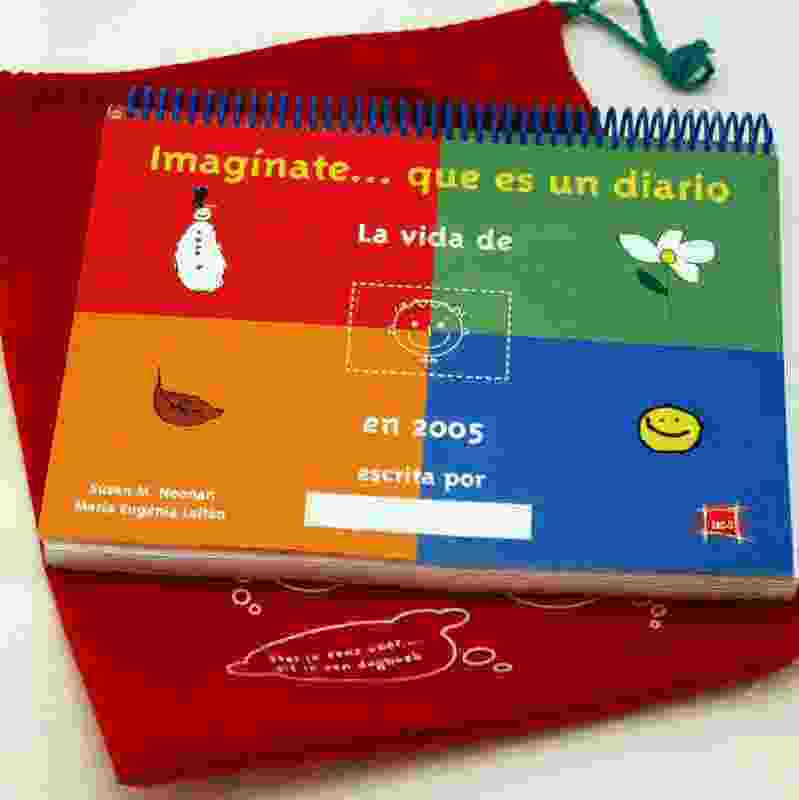 The diary is also a stimulus for creativity and will become more personalized and colourful as the days go by. The space reserved for the child to express his day can be filled with drawings, collages, photos, stickers, invitations, tickets, etc. There are stickers for the weather, and also for the child to evaluate his day (happy, normal, sad/angry). The phases of the moon are portrayed and special international days mentioned. 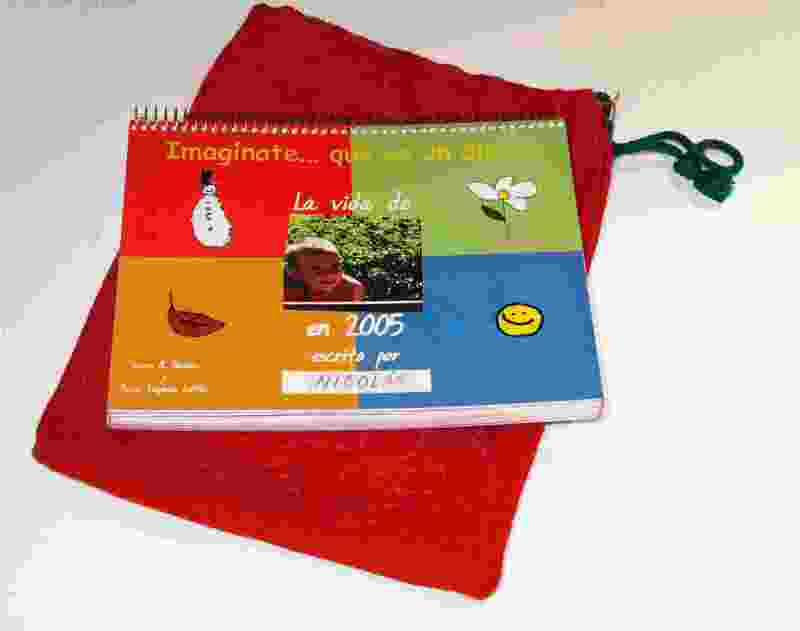 The diary comes in a cheerful red sack that can be used to keep crayons and stickers, etc., for decorating the book.